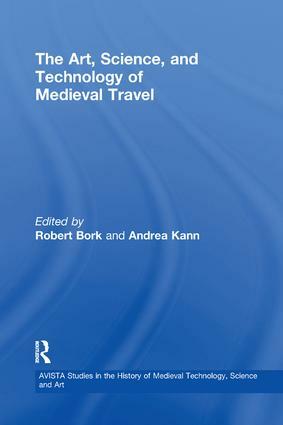 This sixth volume in the AVISTA series considers "The Art, Science, and Technology of Medieval Travel". In recent years, scholarship has increasingly emphasized the importance of travel and intercultural exchange in the Middle Ages. The notable medieval phenomena of pilgrimage and crusade obviously involved travel, while the growth of international commerce contributed decisively to the emergence of Europe as a major force in the world. Medievalists in all fields thus have good reason to consider this issue. The contributors here explore medieval travel from a variety of interdisciplinary perspectives, placing the physical practice of transportation into the larger context of medieval thought about the world and its meaning. The four sections move in focus from the practical to the theoretical, and back. The first section deals with medieval vehicles and logistics, considering Carolingian military planning, Venetian ship design, the origin of the coach, and trade-offs between land and water transport. In the second section, the authors look at ways in which medieval artists responded to travel in creating city gates, representations of earthly travel, and devotional images based on the idea of spiritual pilgrimage. The next papers deal with maps and their meanings, opening with an argument for the importance of Platonic symbolism for medieval mapmakers, followed by studies on the Hereford Mappa Mundi, the Gough Map, and Petrarch's travel guide to the Holy Land. The final section discusses the history of navigational instruments in the Middle Ages. Together, these papers constitute important explorations of how the practical and theoretical concerns of medieval travellers intersected, from the early Middle Ages to the dawn of the Renaissance. Contents: Introduction: the art, science, and technology of medieval travel, Robert Bork and Andrea Kann; Part I Medieval Vehicles and Logistics: Carolingian military operations: an introduction to technological perspectives, Bernard S. Bachrach; Everything is a compromise: Mediterranean ship design, 13th to 16th centuries, John E. Dotson; From carriage to coach: what happened?, Julian Munby; Caister castle, Norfolk, and the transport of brick and other building materials in the Middle Ages, David H. Kennett. Part II Medieval Travel and the Arts: Pilgrims and portals in late medieval Siena, Michelle Duran-McLure; The strange lands of Ambrogio Lorenzetti, Anne McClanan; Spiritual pilgrimage in the Psalter of Bonne of Luxembourg, Annette Lermack. Part III Medieval Maps and their Uses: Mapping the macrocosm: Christian Platonist thought behind medieval maps and plans, Nigel Hiscock; Informal catechesis and the Hereford Mappa Mundi, Dan Terkla; The Gough Map: Britain's oldest road map, or a statement of empire?, Nick Millea; Petrarch's journey between 2 maps, Evelyn Edson. Part IV Medieval Navigational Instruments: Medieval tools of navigation: an overview, Richard A. Paselk; Astrolabes and medieval travel, Sara Schechner. Index.